Here's a note from one of the shelter's dedicated foster families, about a little dog named MAE: "Mae started out as our Foster Dog. 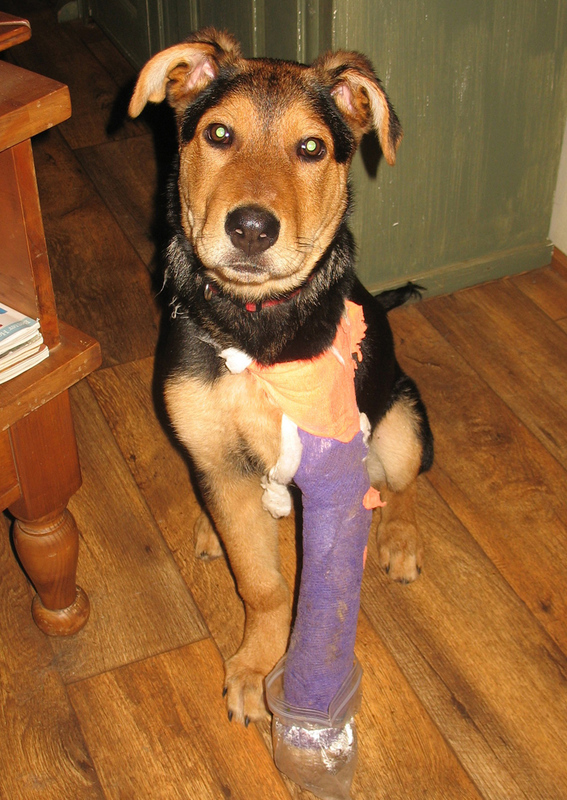 She was a 4 month old puppy with a badly broken leg. She was scheduled for surgery, to have the leg amputated. After a waiting period and the removal of her cast, her leg was re-xrayed and the vets decided she could keep the leg. Adopters did not seem to be interested in a dog with a limp. As time went by, Mae proved herself to be a ranch dog, so we officially adopted her, and we're happy to say her limp has mostly gone away! Mae kept growing and growing, now at 85lbs and with long legs like a Greyhound she runs like the wind at least a mile a day. 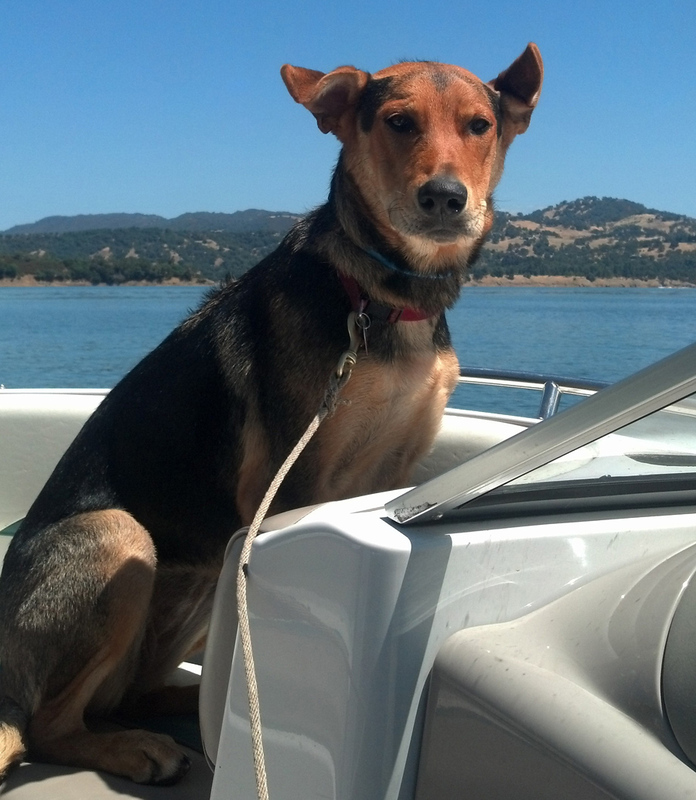 She is a Ranch Dog, Traveling companion, House Dog. We love our beautiful Mae." While Mae was being fostered, and before her foster family realized they loved her too much to let go, the shelter tried to find Mae a home, as you can see from our fliers below. Lucky, wonderful and beautiful Mae lives on a ranch right outside of Ukiah, with several other shelter dogs and cats...a dream home for a dog.